Lloyd Price from Merthyr Tydfil chose the Apprenticeship route instead of going to university so that he could earn, learn and start on a pathway to a successful career. 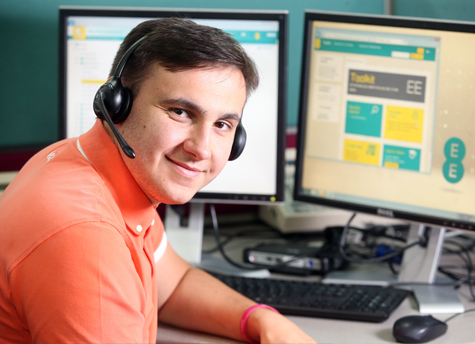 Twenty-year-old Lloyd completed an Apprenticeship in Contact Centre Operations with EE and is working towards his ambition of securing a team leader post at the company. He is totally focused on helping EE achieve its goal of becoming number one for customer service. “The Apprenticeship with EE has impacted my life in such a positive way both personally and professionally in terms of self-confidence and building successful relationships in and outside work,” said Lloyd.